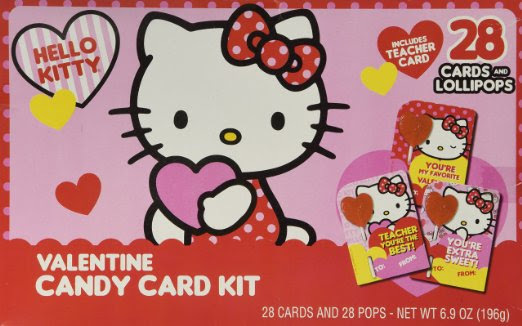 Parents: what is going on with Valentine’s Day boxes? When I was in grade school, we made them too, of course. I remember cutting an opening on a discarded cardboard box, drawing hearts and arrows, and setting it on my desk during a Friday afternoon class party. We passed out two-inch Hello Kitty and Power Rangers cards with cherry heart-shaped suckers stuck through the sides. But 2016 is not the 1990s. I don’t know if you’ve noticed, but in 2016, “handmade” does not mean finding an empty Amazon Prime box and covering it in construction paper. From the photos I’ve seen online this week, it involves hours spent meticulously designing and executing exact replicas of Elsa’s Ice Castle. Don’t get me wrong, I applaud you moms and dads who can craft live-action puppies that eat Valentines and wag their tails after each deposit. I admire your industriousness! I envy your creativity! I marvel at your dedication! But I think it’s a teensy bit insane. I have three kids who keep me running from morning until night. They’re great kids, but they’re young and needy. The first-grader needs help with her homework, and to tell me about how Lily chased Charles on the playground today, who by the way broke his pencil during math, and Mom! Are you listening, Mom? The preschooler needs a peanut butter and jelly sandwich—but not that jelly, and why is it cut in two pieces instead of four like he so clearly meant to order during the second episode of Mickey Mouse Clubhouse this morning? The toddler really just needs a nap. Point being, my house is bustling with childhood. These three little people keep me busy and crazy and utterly fulfilled. 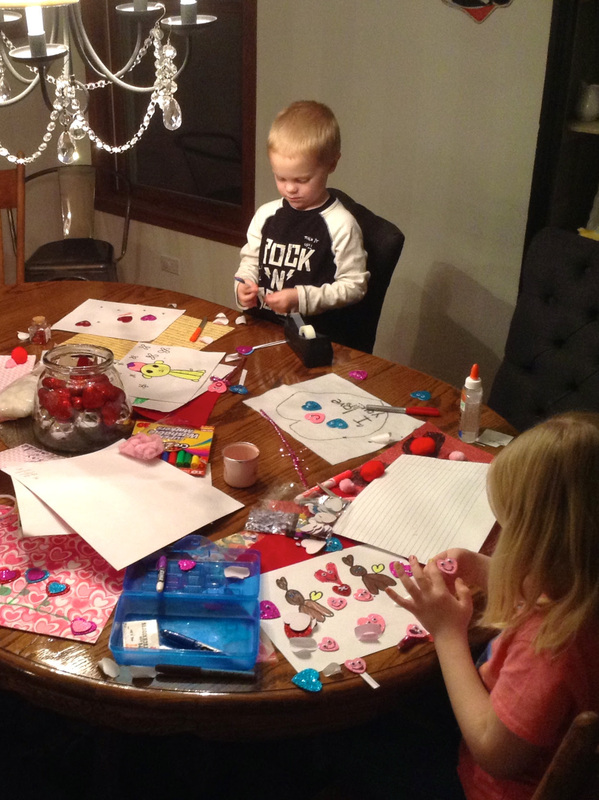 It’s why, when I remembered that Valentine’s Day assignment, we dug through our supply of stickers and markers and pom poms at the kitchen table and made the most of it. We laughed at the funny faces we could make glueing googly eyes onto glittery hearts. We searched for elusive vowels in the box of alphabet stickers. We stamped patterns onto construction paper greetings. We didn’t stress about making The Greatest Valentine’s Day Box of All Time. Our kids don’t need our perfection. They need our time. They need our attention. They need us. And that’s something we all can give.